The Bihar Board of Open Schooling and Examination 10th and 12th exam began on January 3, 2019, and continued until January 16, 2019. 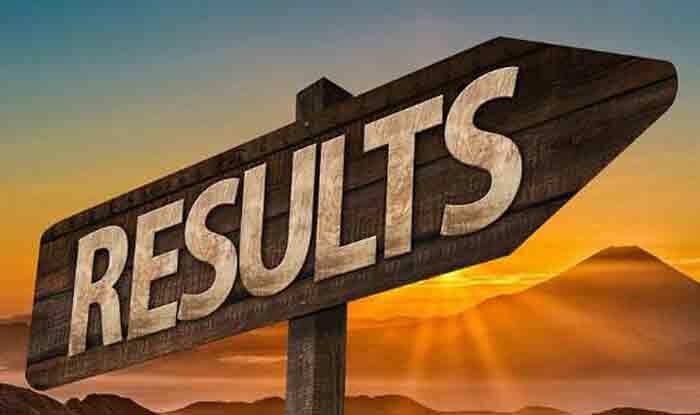 BBOSE Result: The Bihar Board of Open Schooling and Examination (BBOSE) declared the results of both class 10th and 12th on Tuesday. The BBOSE was held in the month of January this year. Students who have appeared for the examination may check their results online on the official website- bbose.org. As per the official date sheet, the BBOSE 10th and 12th exam began on January 3, 2019, and continued until January 16, 2019. The exam was held in two shifts- morning shift from 10 AM to 1 PM and the afternoon shift from 2 PM to 5 PM. The practical exam was held from January 17, 2019, to January 22, 2019. Step 1: Visit the official website- bbose.org. Step 2: Click on the ticker “Result of Secondary & Sr.Secondary Second Examination December 2019”. Step 3: Select the examination type- Class 10th or Class 12th. Step 4: Input your Exam Roll Number and Date of Birth. Step 5: Submit the information after verifying it. Step 7: Download BBOSE Result scorecard and take a printout. Candidates are requested to check and verify all the information provided on it. In case of any discrepancies or problems, the same needs to be highlighted to the BBOSE. BBOSE operates as an independent and autonomous body under the aegis of the Education Department of Bihar. The BBOSE was established in 2011 as a Government Registered Society as an educational institution offering Open and Distance Learning. BBOSE is set up on the lines of National Institute of Open Schooling (NIOS).